These homemade cream biscuits use only 4 ingredients, take just minutes to mix up, and result in wonderfully flaky homemade biscuits you will love! The perfect easy side dish for any meal, or even for breakfast warmed up with some jam! Especially when it’s alongside a hearty bowl of this slow cooker chili. That almost needs to have a warm and flaky, fresh from the oven, homemade biscuit with it! Or soup! Any soup – I love biscuits with my soup. Evidently I enjoy my comfort food. What can I say? There’s just something about buttery, flaky, warm bread – it can’t be resisted. Even better when you can have that homemade biscuit taste with the ease of just 4 ingredients and a few minutes of your time. Because that’s literally all these homemade cream biscuits take. Minutes. That’s it. 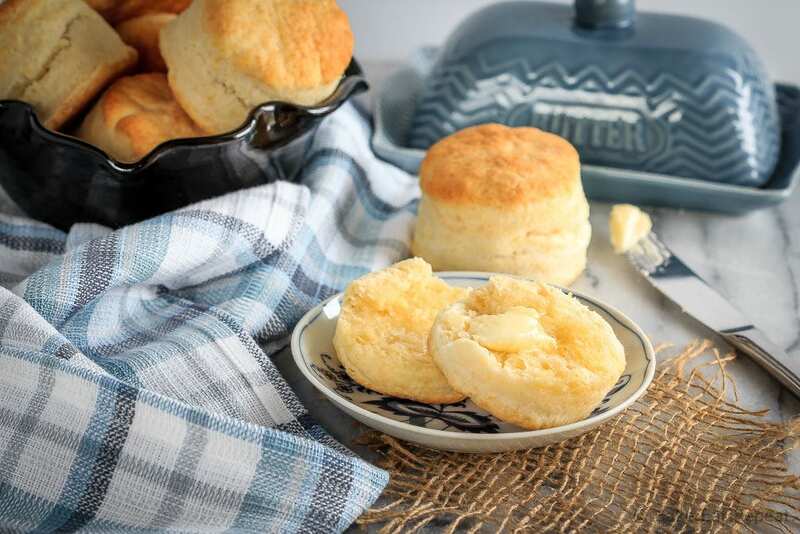 No cutting in butter or anything – and you still get those lovely flaky layers that we all love in our biscuits. You will likely have them ready to put in the oven before your oven is even preheated. That’s how easy they are. 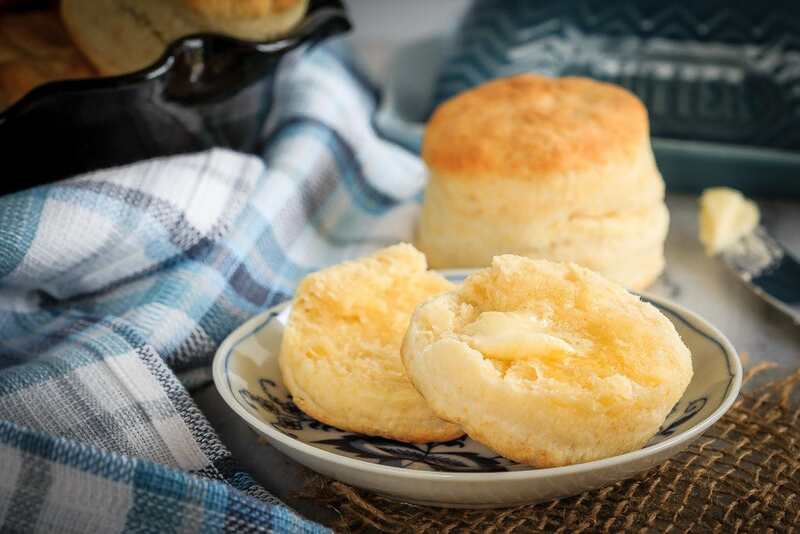 Using heavy cream as the source of both the fat and the liquid in these biscuits makes them a lot faster to make then your typical buttermilk biscuit recipe. They taste a bit different, and are definitely best the day they are made, but you still have the crisp exterior and soft interior with all the flaky layers. 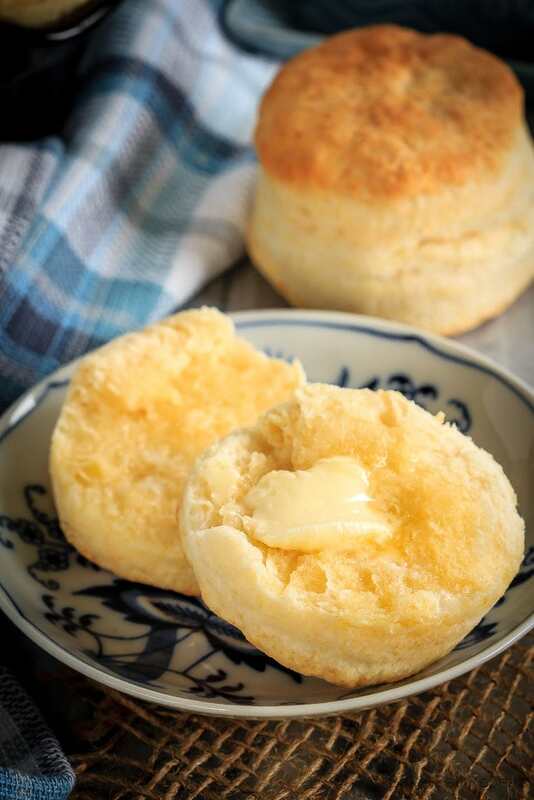 In short, these homemade cream biscuits are amazing, and you should probably make some to have with your dinner tonight. Only 4 ingredients – flour, baking powder, salt and cream. You very likely already have everything you need to be enjoying a warm biscuit in approximately 15 minutes. As far as comfort food goes, it doesn’t get much better then that! I’ve also shared this Homemade Cream Biscuits recipe over on Food Fanatic. I made this today but somehow the biscuit did not rise that much, and also they kind of toppled / slanted to 1 side. I am wondering what I did wrong......Any thoughts? You want to make sure the cream is very cold when you add it, and your oven is preheated so you can put them in as soon as they're ready. If the cream is still cold when it hits the hot oven you will get a better rise. It could also be your baking powder, if it's too old it won't work as well. You also want to make sure not to stir the dough for too long before shaping it into biscuits - I start shaping them well before the dough is completely together, it's a bit shaggy and comes together during the shaping. If you work biscuit dough too much it doesn't rise as well. As far as them toppling to the side, that could happen if they weren't a uniform thickness to begin with, or again if your cream wasn't cold, or your oven wasn't hot when they went in. Hope that helps!